The show follows Hugh Davidson (“Robot Chicken”), Rachel Ramras (“Mike Tyson Mysteries”) and Larry Dorf (“The Looney Tunes Show”) as three unsuccessful comedians. These titular “nobodies” attempt to make a film script they have written more attractive by pitching it to Melissa McCarthy, with whom they have a loose friendship. The premise is promising: a show which follows three comedians as they struggle to gain recognition should be funny on the strength of its dialogue alone. Unfortunately, the show falls short in translating a strong premise into strong writing. While there are a handful of funny moments in the pilot, most of the jokes that the writers probably expected to be home runs generate cringes, not laughs. In the pilot, the writers do little more than recycle classic clichés. From Larry Dorf’s fictionalized version of himself, who fits the incompetent but groundlessly optimistic archetype found in many sitcoms, to a cringe-worthy basketball scene that drags up from the depths the motif that nerdy comedians cannot play sports, it seems that every tired sitcom staple is represented in the show. The dialogue between the three central comedians, while smooth and natural, is simply not as funny as it should be. The dialogue between the comedians and other characters, on the other hand, is downright awkward — and still not funny. The show does show some promise in the strength of its cast. Hugh Davidson’s performance is excellent, and his character, who is probably the least absurd of the three, is quite funny. While Larry Dorf’s character is the weakest aspect of the show, this shortcoming is due purely to the way in which he is written. The writers devote far too much effort to getting him into awkward situations and not enough on developing him. Dorf’s performance, however, is solid, and his delivery strong; if the writers can tone down his character’s absurdity, he might prove to be an asset to the show. Rachel Ramras’ character is plagued by similar problems as those that sink Dorf. The character is painfully awkward when interacting with characters outside the central trio, and Ramras does not shine as a comedian in these situations. Still, Ramras is much funnier when bantering with the other main characters, and if the writers start putting her in these scenarios more often rather than filling most of her screen time with clumsy exchanges, she too could become a highlight of the show. The episode opened with a group of the main characters’ former friends, all of whom are more successful comedians, mocking the trio for their lack of success. Throughout the rest of the episode, the comedians try to legitimize their movie script by attempting to get it to celebrities. They first leveraged their friendship with Melissa McCarthy and her husband to try to convince her to join the cast of the would-be film. McCarthy’s husband Ben Falcone (played by himself) stymied this effort when he complained that writers are always pitching movie scripts to him during social events. Later, the trio tried to gain access to Jason Bateman through a friend who plays a weekly pickup basketball game with the star. This effort is doomed from the moment Bateman realized that they were simply there to ask him for favors. These scenes illustrate just how difficult it can be for celebrities to develop true friendships. Bateman could not even play basketball without being intruded on by people who wanted something from him, and even friendships that McCarthy had for years were corrupted by her stardom. McCarthy and Falcone are attempting to communicate to audiences that life as a celebrity, while often romanticized, can be lonand frustrating. This message is made even more acute by the juxtaposition of true stars (McCarthy and Falcone) with aspiring comedians (Dorf, Ramras and Davidson). The three want celebrity more than anything else, and in their blind ambition they fail to appreciate the true friendships they have with each other. 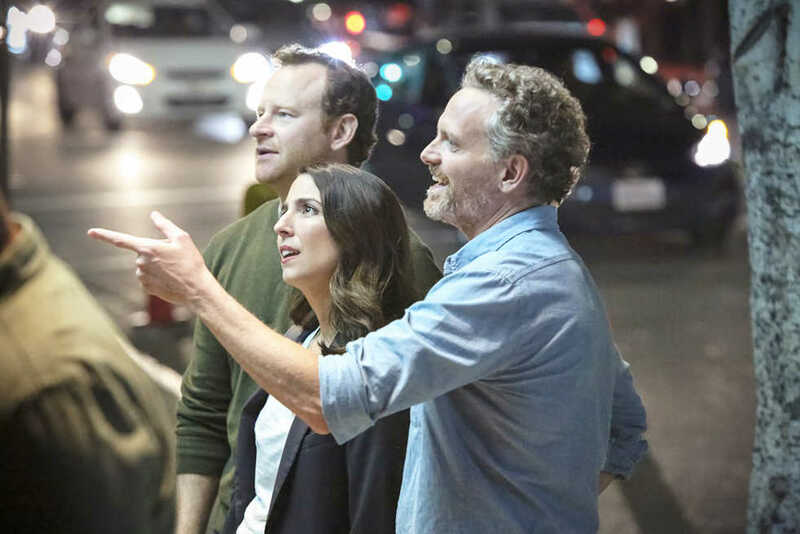 If the writers of “Nobodies” can continue to build on this theme, and if they can distance themselves from the tired clichés that ruin the pilot, they might create something much greater than a sitcom.